See here for the history of the OYC and OYT, published in October 2010 for our our 50th anniversary commemorative brochure. A report on our 50th anniversary celebration event can be found here. Ocean Youth Trust South is one of a number of regional charities which grew out of the Ocean Youth Club. The OYC was founded in 1960 and has since given thousands of young people from all walks of life the chance to experience adventure under sail. 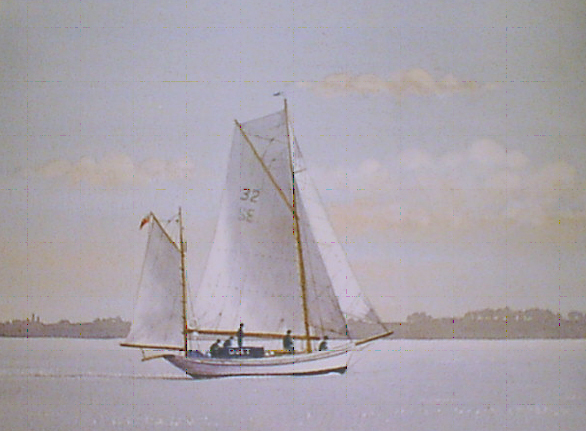 Chris Ellis had in fact been taking schoolboys sailing as early as 1951, and it was from these early voyages that his ideas for the Ocean Youth Club grew. Peter Tracey was on that 1951 voyage, aged 14, and his account of the experience is an immensely entertaining read! John Laing was launched in 1990 and named by Lady Laing. In December 1995 she began a 13-leg circumnavigation of the world with her sister ship James Cook, from which they returned in March 1997. At the end of 1999 the OYC’s head office in Gosport closed, and the Club returned to the original vision of a number of separate regional charities. 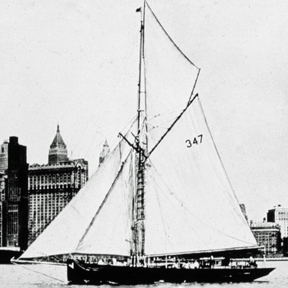 Ocean Youth Trust South was founded, taking over John Laing, and sailing in the 2000 Transatlantic Tall Ships Race. The following year John Laing was chartered to the British Army Antarctic Expedition for 9 months. Since then, John Laing has taken hundreds more young people to sea, largely in the English Channel, but also with special trips including Tall Ships races from Portugal to Norway and Ireland to Russia. In 2015, we bought a new boat, Prolific, to replace John Laing, and after extensive refurbishment, Prolific became OYT South's key sail training vessel from the start ofb the 2017 season. We have also built good relationships with a large number of regular clients, and we have been delighted to develop our work with crew members from deserving backgrounds and those with a variety of special needs. With the continued support and enthusiasm of our sea staff, OYT South looks forward to many more successful sailing seasons.